Hope your week is off to a super great start. Recently Norwegian body perfume brand Olor, announced Nargis Fakhri as the new face of the brand's advertising campaign in Pakistan. 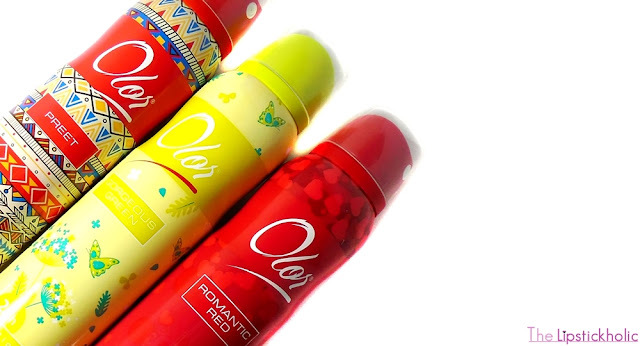 Olor Pakistan also introduced some exciting range of deodorants for summers. Today, I am reviewing three new Olor 24h protection deodorants. So let's get to the post to know what do I have to say about these new deodorants by Olor. These olor deodorants come in metallic packaging with transparent caps. The packaging of these new olor deodorants is really chic and vibrant. I like the new catchy prints on the bottles. It surely makes the bottles look more appealing. The bottles can easily fit in your bag or purse means you can take these along when going out or traveling. 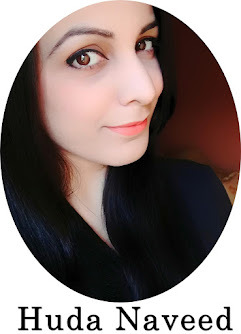 The three deodorants that I am reviewing are, Preet, Gorgeous Green and Romantic Red. Olor 24h protection deodorant "Preet"
Preet is a strong and slightly masculine scent. Its not so summery in my opinion. The scent has hint of spice in it and can be worn all around the year. Those who love spicy, masculine scents will love this. 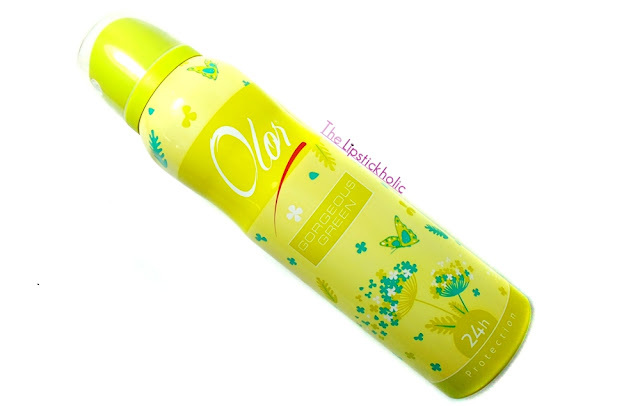 Olor 24h protection deodorant "Gorgeous Green"
Gorgeous green is my favorite among all three deos. It's the perfect subtle, floral fruity kind of scent. It smells so fresh and is great for spring/summers. I am so in love with this deo and am surely gonna repurchase this one. 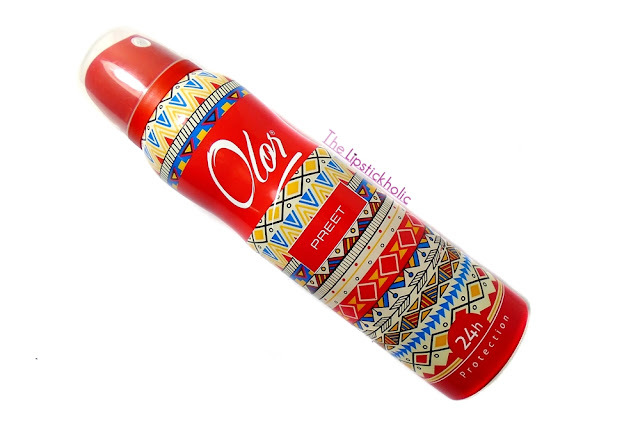 Olor 24h protection deodorant "Romantic Red"
Romantic red is a bold floral scent. It is somehow stronger than gorgeous green yet is not overwhelming. Surely another scent that screams summer. All of these deodorants have good staying power. The 24 hours protection claim of these deodorants however is not true. On me, these last for about 8 hours and then leave behind a mild scent that lingers till the end of the day. I don't mind respraying as these smell so nice. 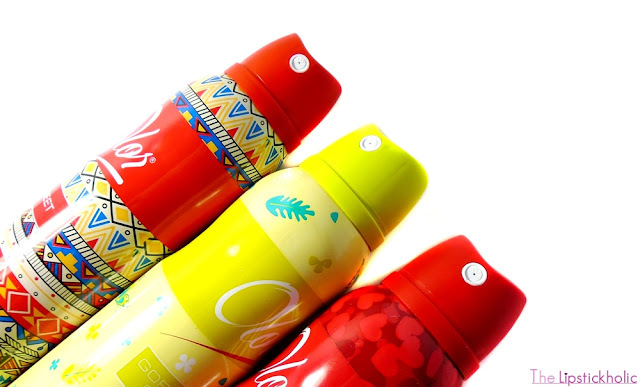 These deodorants can be applied directly on clothes or on skin for a long-lasting effect. Overall, for the price, these deodorants are good and gorgeous green has surely become my favorite summer deo. 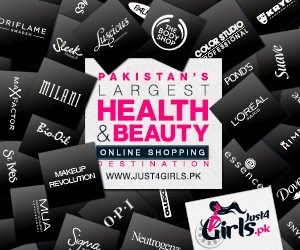 For more information on the brand, join Olor Pakistan on Facebook. I can totally relate. I like these a lot more than the ones I got last time. Do try Gorgeous green, its such a nice fruity floral summery scent. If you are into fresh floral scents than you must try gorgeous green. Am sure you will love it. Love the bright packaging, is this brand cruelty free? Not sure if its cruelty free or not but I will check the details and update. Thanks for stopping by. Thanks Sherry. I personally think the fragrances are a lot better this year as compared to the previous ones. Will surely check out Party too. 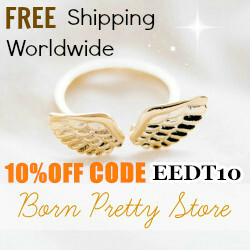 Their packaging is beautiful and scent sounds great as well, great review.